Early notice was announced at 10:50 (10 minutes in advance) ,next session will start at 14:20. In order to provide a more accurate SSD street price database to our customers, DRAMeXchange expanded the sample size of SSD prices. We currently survey over 50 retailers in the US market per SSD model, 5 times more than that of the original methodology. Data from the UK and Japan markets were excluded from our SSD street price survey because their sample sizes are statistically insignificant and their market scales are unrepresentative of the overall market. Notice: Starting in 2H'Jul., DDR4 4Gb 512M*8 2133MHz contract price quotations will be removed; DDR4 8Gb 512*16 2133MHz (based on 4GB module) contract price quotations will be posted. Notice: The demand for DDR and SDRAM is miniscule in terms of quantity, and DDR3 8Gb has entered the EOL stage. 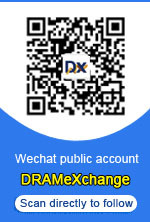 Thus, DRAMeXchange will no longer provide their quotes. 2H'Jan. NAND Flash contract price updated on 1/29/2014. Gold+ Members please click here to download the details.